I have created an employee leave application form. I would like the employee to click submit, then the form needs to go to a manager to approve before going to the payroll department. Here's how I will setup mine based on your form titled "Leave Application". Mine is a one step level approval form, meaning from employee to manager path. 1. 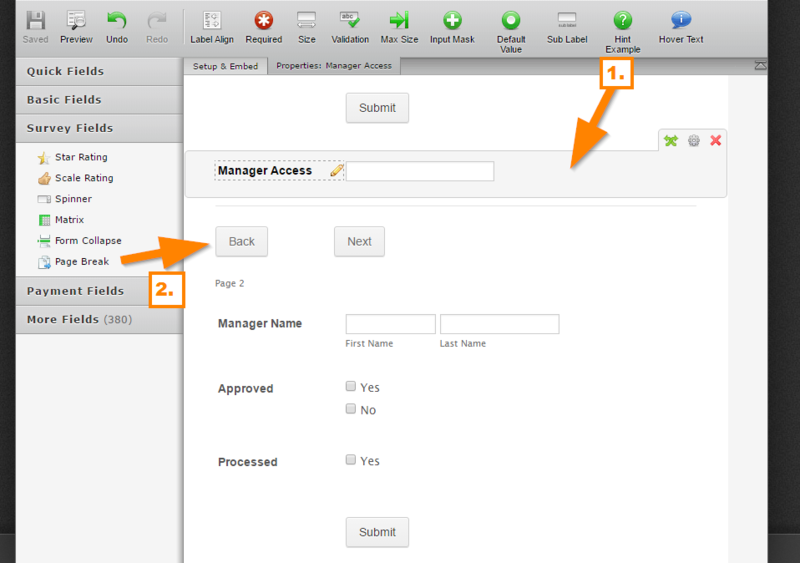 At the bottom of the application form of your employee section, I'll add the "Manager Access" text box, the manager will need to enter his/her code to have an access on the next page. The next page is where he/she can approve or deny the application leave. 2. Now in your end, make sure that there are no hidden fields in the manager section. 3. 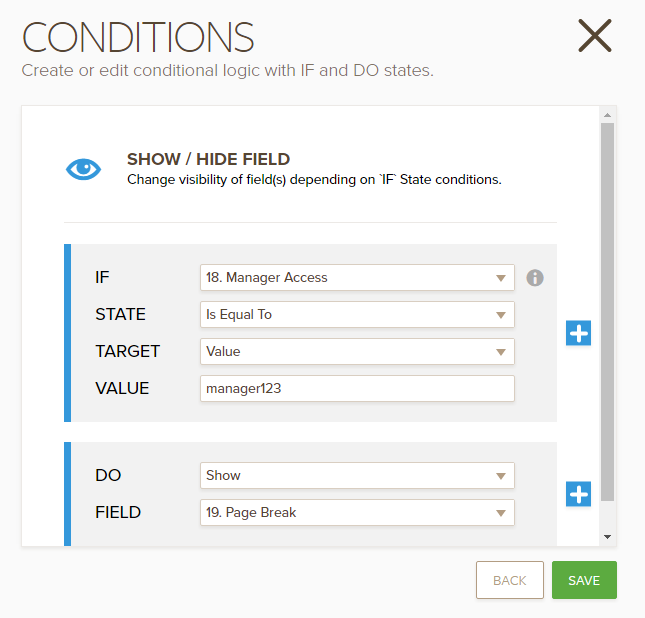 What we will do now is to set up a conditional logic to show the page break (next and back button) ONLY if the manager access code is correct, in my case its "manager123". 4. 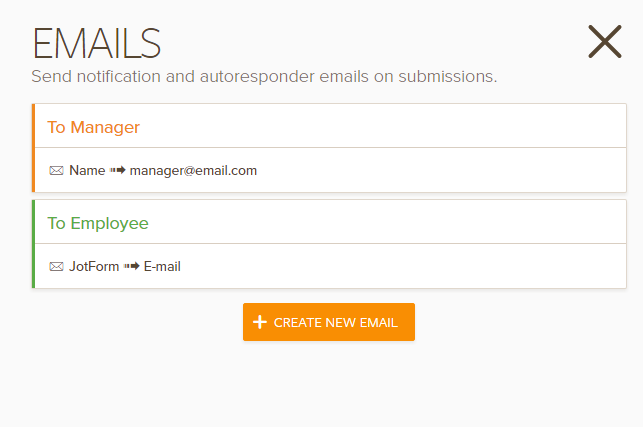 Now setup the email alerts you want to send to the respective recipients. 5. On the notification email that will be sent to the manager, make sure to add the edit link submission in the email template here. With that, when your manager receives the email, he/she can open the submission made by the employee and can approve or deny it by editing the submission. He needs to hit the submit button for the changes on the submission to be saved. 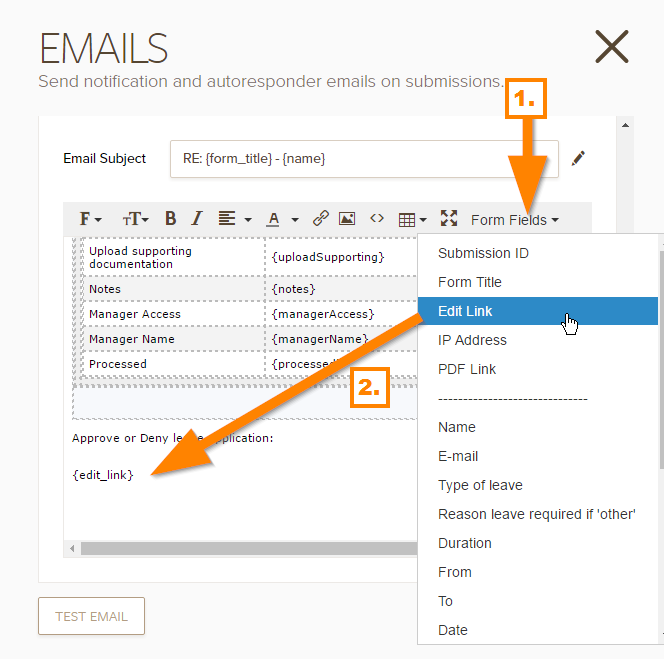 Make sure that you remove unnecessary form fields in your email template for the autoresponder, the one that will be sent to the employee, you do not want to expose the other fields like "Manager Access" and send a copy of it to your employees' email.